MIAMI, FL – January 8, 2014 – UniverSoul Circus is now celebrating its 20th Anniversary with a return to South Florida, January 17th – 26th at Miramar Regional Park, 16801 Miramar Pkwy, in Miramar, FL. This high tech state-of-the-art production, features amazing acts highlighting excellence in artistry from around the globe. Considered one of the world’s top rated and most interactive circuses, UniverSoul showcases the perfect blend of music, theater and circus acts, along with a unique brand of comedy allowing audiences of all ages have fun while becoming a part of the show, which also offers a progressively urban and international flavor. “Twenty years ago, UniverSoul Circus started as a dream,” said CEO and Founder Cedric Walker. “From a single tour stop in 1994, to amassing a worldwide audience of millions, our steady growth, popularity and critical acclaim has exceeded my wildest expectations. We not only ran away with the circus, we created one. My dream of producing a singular entertainment event for the entire family to enjoy has turned into a reality, ten-fold,” Walker added. UniverSoul Circus will offer the following performances: Opening Night on Friday, Jan. 17 at 7:30 p.m.; Saturdays, Jan. 18 & 25 at 12 p.m., 4 p.m. & 7:30 p.m.; Sundays, Jan. 19 & 26 at 12:30 p.m., 3:30 p.m. & 6:30 p.m.; Monday, Jan. 20 at 6:30 p.m.; Thursday, Jan. 23 at 7:30 p.m. and Friday, Jan. 24 at 10:30 a.m. & 7:30 p.m.
Tickets prices range from $16 – $35. Children under 1 are FREE. Tickets available through TICKETMASTER at www.ticketmaster.com and by calling 1-800-745-3000. For discounts for groups of 20 or more, call 800-316-7439. To learn more about UniverSoul Circus, visit www.UniverSoulcircus.com. The City of Miramar is proud sponsor of UniverSoul Circus. 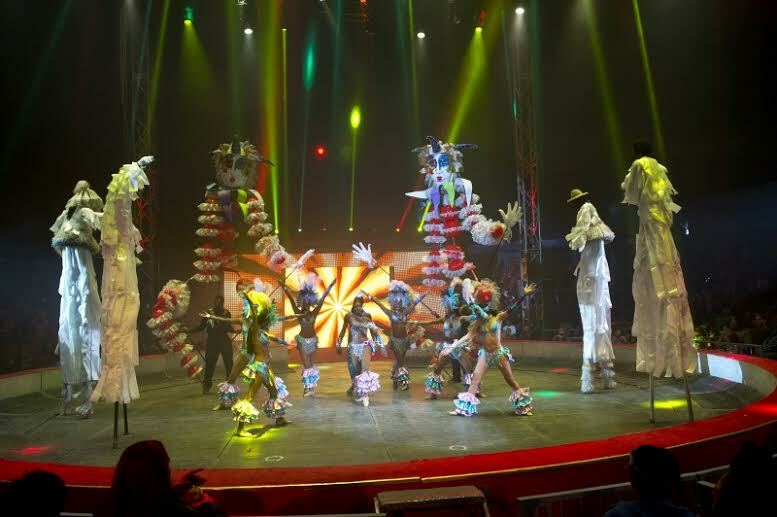 UniverSoul is a highly interactive combination of circus arts, theater, and music that spans genres including Pop, Classic R&B, Latin, Hip Hop, Jazz and Gospel. It embraces and celebrates the unique and familiar aspects of pop culture globally by bringing them center stage with a cast of international performers. UniverSoul Circus is rated as one of the top three circuses in America along with Ringling Brothers Barnum and Bailey and Cirque du Soleil. UniverSoul’s fresh approach to family friendly live entertainment has garnered it a coveted spot as one of Ticketmaster’s top ten most requested family events, along with other shows including Sesame Street Live, Disney on Ice, and Radio City Christmas Spectacular. The circus was founded 20 years ago in Atlanta by concert and theatre promoter, Cedric Walker.